I'm in a photo on the Hambly website! Its the last photo and I'm the tall person in the front left side. See me here! Ratatouille is out on DVD now. It is such an incredible film that if you have not seen it I urge you to rush out and rent it or buy it. Dan & I watched it for a second time Thursday night. Its so incredible what Pixar did with the fur and the water! We just got tickets to Live 105's Not So Silent Night and I'm looking forward to seeing Paramore, Modest Mouse, and Jimmy Eat World. We saw Jimmy Eat World a few years ago and they were incredible performers. The holiday season is fast approaching and I am looking forward to finding unique Christmas presents at etsy! I really like the idea of supporting fellow artists during this season! Who can have a Christmas with out these adorable tags by Kellie from Every Jot & Tittle? Aren't her tags just FABULOUS!!! I love them! Hey - that lace cardstock from KI Memories..it is not on an overlay; what you were seeing was the reflection from the packaging. They package each sheet separately to prevent damage! Trust me, you will love it!! 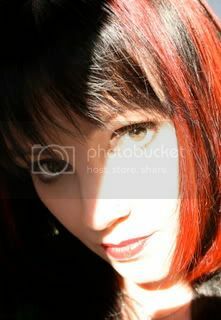 lol - I saw that photo on the hambly blog yesterday and I was like, I know that girl! Yeah...I saw that photo on Hambly! :0) I'm still so jealous that you got to take the class! Although, I FINALLY got my hands on some Clearly Heavy Overlays at my LSS yesterday. I think I'm going to make my husband a mini-book for Valentine's Day (there's no way I could finish it by Christmas). 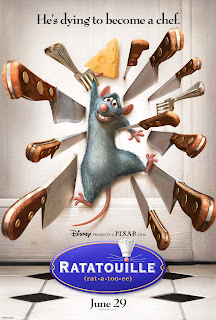 And, I still haven't seen Ratatouille! Bummer.